We have introduced a few nice iPhone wallets for iPhone 5. But if you prefer handmade gadgets, the following leather iPhone 5 case with card holder may be more suitable for you. 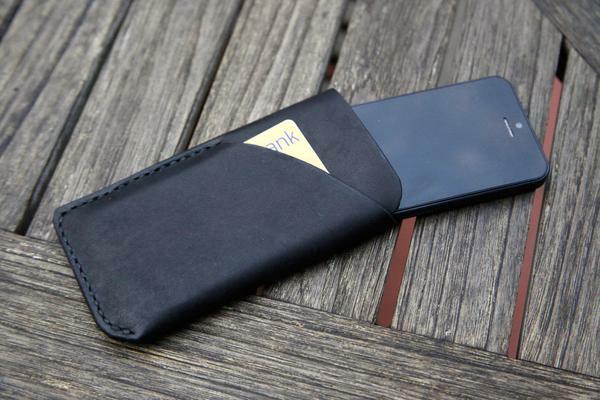 This is a well-designed, sleeve styled protective case designed for iPhone 5, and handmade by Benjamin Chan from Hong Kong. 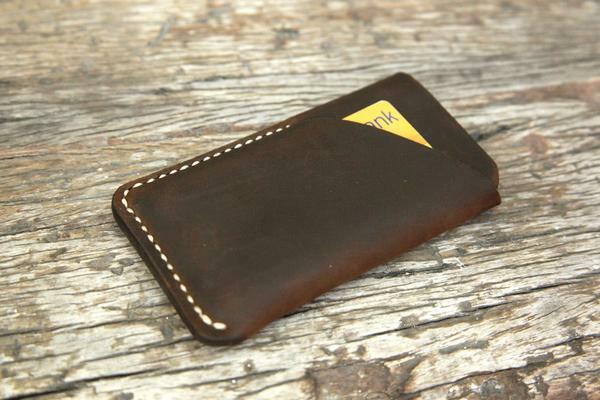 As we can see from the images, the iPhone 5 case features elegant, minimalistic design, and is constructed of 2mm Italian tanned natural leather in order to protect your iPhone 5 from bumps and scratches in a fashionable way. Moreover, the leather case is hand stitched with heavy waxed nylon thread and hand conditioned with beeswax and neatsfoot oil in twice for durable construction and premium look. 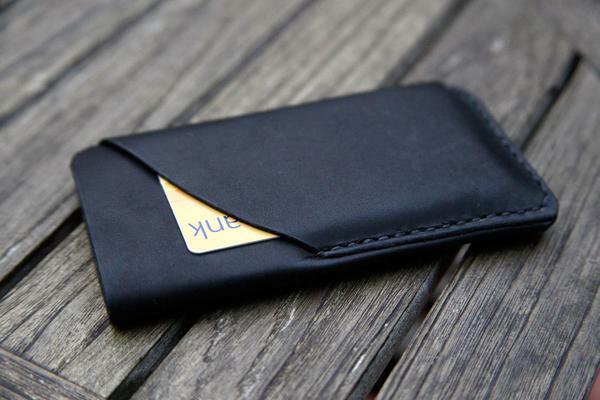 Apart from that, the integrated card holder is able to hold at least 3 cards. 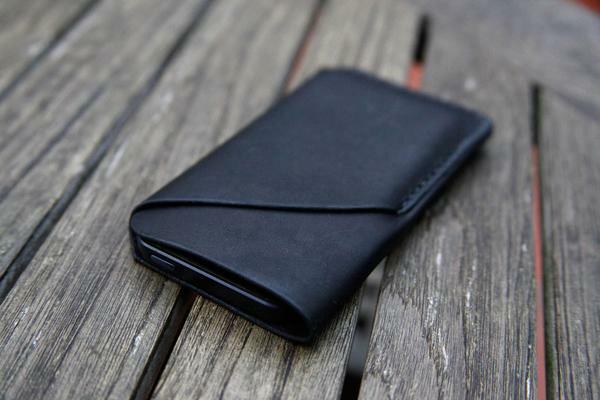 The handmade leather iPhone 5 case with card holder is available in two colors including black and brown, each one is priced at $42 USD. If you’re interested, jump to Etsy for more details. Additionally, if you need other options, you might like to check the wallet styled iPhone 5 case and more via “iPhone 5 case” tag. are you selling this? where can I buy this from? You can get it at Etsy.